Atheism, perhaps attractive at first, ultimately sells out and collapses because it cannot maintain continuity with rational thinking. The “New Atheism” (which is essentially a series of recent books touting atheism) clothes itself in the aura of scientific credibility, but then when these atheists leave their comfort zone and begin to speculate about ultimate causation their theories breakdown and become murky; their arguments even become preposterous and manifestly irrational. The real appeal of atheism is not its intellectual prowess (atheism requires a positively irrational faith in blind chance); no, the real appeal of atheism is moral autonomy so that God can be conveniently pushed aside. “The fool says in his heart, ‘There is no God’” (Psalm 14:1). “There’s my wife, and she is sort of like a perfect partner to me! She’s all so feminine (thanks for those gentle curves), and I’m masculine (I played football in seventh grade). I must be insane to think that you pulled off this amazing complementarity between my wife and I by accident, and so hats off to you, ungod, because the chances of this happening by accident must have been, well, zero.” I paused then to see if ungod would say anything back to me, but he didn’t, and the whole thing actually backfired on me as I began to see the complementarity between my wife and I as a rather obvious revelation that I did have a creator. Then I remembered that quote by C.S. Lewis: “A young man who wishes to remain a sound atheist cannot be too careful of his reading.” In my case, it simply wasn’t a good idea to pray to ungod. Theism – belief in God – is grounded in common sense. It need not be intimidated by the “bio-mythology” of an accidental universe. Image: A bust of Aristotle in The National Museum of Rome. 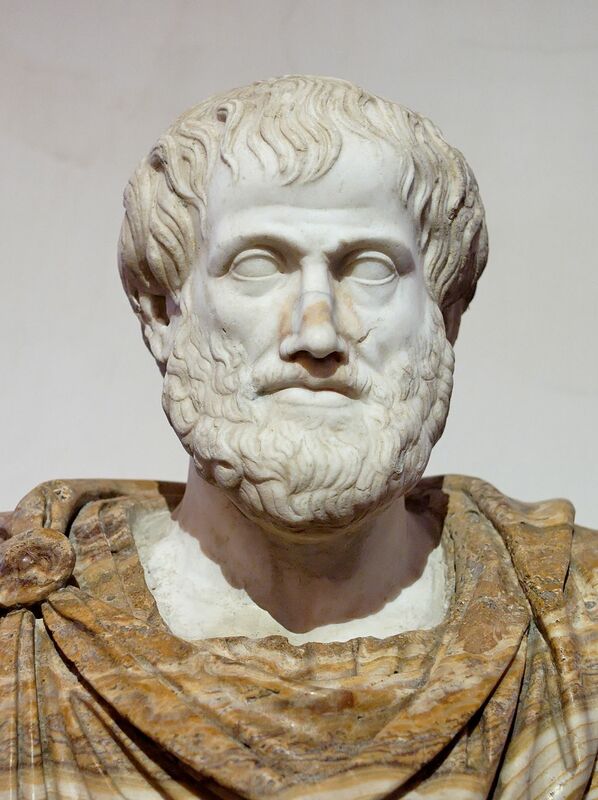 Saint Thomas Aquinas referred to Aristotle simply as “the philosopher.” Aristotle is known for maintaining that man is a rational animal. The image is in the Public Domain, U.S.A.